A Ryō (両) was a gold currency unit in pre-Meiji Japan Shakkanhō system. It was eventually replaced with a system based on the yen. Vietnamese cash (Vietnamese: văn; Hán tự: 文; French: Sapèque) is a cast round coin with a square hole. 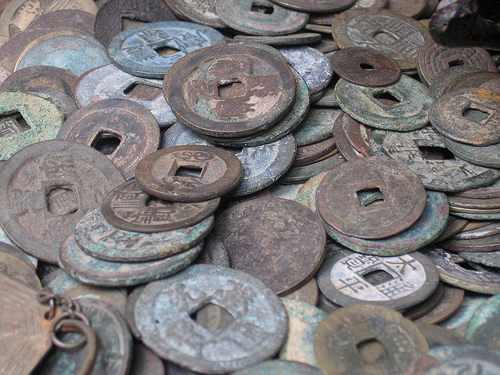 The same type of currency circulated in China, Japan and Korea for centuries.